Starting a handyman business may seem like a difficult job. Although there is freedom to the work, it doesn’t seem very lucrative. After all, the average handyman (maintenance and repair worker) only makes about $36,000 a year according to the Bureau of Labor Statistics. Besides that, during the Great Recession, handyman work (as well as other service industries) became more scarce. This was due to the housing industry taking a nose dive, along with the economy, and people also fearing the future. That meant that they were less willing to pay other people to do household tasks, which they either did themselves or put off for later. But, on the other hand, you’re probably aware that the economy has bounced back, and global consumer confidence is increasing year by year. This chart shows consumer confidence rising from 2008 to 2016, which means that many homeowners will need handymen for those projects they’ve been putting off. This means that, with pockets opening up and incomes rising (a 5.2% increase for US households in 2015 compared to 2014), there will be more jobs available now, which means a lot of chances for a lucrative handyman business. There are even handymen out there who make up to $3,000 per week! Obviously, there seems to be a wide range of handyman incomes, which means that if you do your business right, you too can enjoy a profitable career as a handyman. So the obvious question is: how can I do my handyman business right? How do I begin, and once I’ve started, how can I make sure I succeed? Today, in our handyman business guide, we’ll look at the steps you’ll need to take in order to have a profitable handyman business. In order to fully understand what it really means to start a career as a handyman, let’s look over some of the advantages and disadvantages that come with the handyman business. The most important advantage, and the one most visible, is that you’ll be able to work for yourself. That means that you will have the freedom work as long or as short as you wish. That also means that your work is actually work, rather than sometimes unproductive time wasted in the usual 9-to-5 jobs. Beyond that, you’ll also be able to choose the type of work that you will want to do (even in the beginning stages of your new career). If you have a particular passion for electrical jobs, or repair jobs, or just working with wood, you can begin to focus on those parts. Another important aspect is that you’ll be able to earn quite a good income from your handyman business. Because your job is in your hands, and because many houses need the services you offer, you can end up earning quite a lot each day. The great disadvantage to being self-employed is that you just won’t have the security that a full-time job has to offer. You’ll also have all the responsibility for getting your own insurance and licenses, and of course finding the customers and doing all the aspects of your job. If you’re not careful and it becomes too much, you can end up suffering from burnout. Another disadvantage is that sometimes you’ll be pressed for time. Although you may have scheduled a few smaller jobs to do on a certain day, you’ll probably get a few urgent calls and you’ll have to decide who you should disappoint. If you end up doing both jobs, you’ll find yourself soon being tired and working many 12-14 hour days. Lastly, being a handyman means you’ll have to fix all kinds of things—which means you’ll need all kinds of equipment to adequately fix those things. This of course means that you’ll have some high overhead costs that means, although they are definitely a great investment, you won’t be able to take on some jobs until you purchase that equipment. Now that we’ve got the advantages and disadvantages out of the way, let’s get started on formulating the fundamental parts of your business structure: your business plan, your legal and insurance requirements, the knowledge you’ll need, and the software that will make your business run more smoothly. The important aspects of a handyman business are the business plan, insurance, licenses and training, and software. Your business plan is the backbone of your business. Although many small business owners don’t think their business will ever get big enough or expansive enough to need a business plan, they’re dead wrong. A business plan isn’t for big businesses or medium-sized businesses—it’s for all businesses. It’s not just for investors to look at and decide if they want to give you money for your idea. It’s for you to write down your plans, do your research, and have a roadmap towards your destination—and it also helps you to decide what that destination will be. In order to fully prepare your business plan, check out our full 8,000-word guide on how to write a great business plan. We even have free business plan templates to make the task much easier for you. Insurance is always on a case-by-case scenario. Although most people would advise that you get insurance “just in case,” you have to consider the fact that it’s an extra cost, and if you’re just starting out, you need to minimize costs as much as possible. Are customers asking me for insurance? Is it required in my state or territory? Am I planning on working for bank-owned properties or in apartment buildings? Does my work require me to wear helmets, or is it generally risky on a regular basis? If you answered yes to one or more of these questions, then you probably should consider getting insurance. However, if all of them are no, it’s probably best to wait until you become more established, your work or customers require it, or you start hiring others to work for you. It’s probably best to wait to buy insurance until you become more established, your work or customers require it, or you start hiring others to work for you. If you do plan on getting insurance, it is typical to have costs of roughly $1,000/year for $1,000,000 liability insurance from your local insurance broker or online. Generally, these prices are passed on to the customer, and shouldn’t raise your hourly rates by more than $1/hr. In order to start any business, you’ll need to get your business license. Generally, handymen have to decide among an LLC, S Corporation, or Sole Proprietorship. There are many benefits to starting an LLC or S Corporation, but Sole Proprietorship provides almost no protection for your or any of your assets if a legal issue arises. After that, you’ll need to get your Employer Identification Number in the US, which is basically a social security number for your new business. This should be followed by any city licenses that you’re required to have (different for each city), so make sure you know the requirements. After that, go ahead and get your contractor or handyman license if required by your region. As far as training, handyman is a pretty general field, and most people learn by doing rather than attending formal classes. If you are unsure of what services to offer, go to Craigslist or a similar website and look at the most common services. Check if you know how to do these things. If not, learn and begin to offer them to increase your revenues. Just because you’re a handyman, out in different homes all day working with your hands, doesn’t mean that you don’t need to use some important apps and software programs. In fact, the whole purpose of apps and software is to make your life easier, so let’s quickly look at the most important you need to have. This one is a basic, but if you need to find your client’s home, you can’t go wrong with this fantastic app. The directions are clear (and don’t sound robotic), and is also useful for finding the local hardware shop quickly. You’ll also need to take care of your financials, and because you’re a legal entity (registered business), you need to provide invoices to your clients. It can be a hassle, but online invoicing software such as InvoiceBerry lets you do it in a breeze. In fact, you can create and send your invoice in less than a minute. You should get a credit card app so that your customers can pay you by credit card. This will make it much easier for them, and minimize the awkward “Let me just run to the ATM really quickly” wait. Take notes while you’re on the job doing a quote, create checklists for your tasks, or easily make lists for what you need to buy from the store. With Evernote, note taking is easy, and it even syncs with your other devices. For extra points, you can download a dictation app on your phone to record what you say as you’re measuring and then copy that over to Evernote. Now that you’ve got the fundamental aspects of your business out the way, let’s look more specifically at what kind of pricing and equipment you’ll need to have to create a successful handyman business. Now, let’s quickly summarize how much it’ll cost you to set up your handyman business. In a non-legal way, you can set up your business for practically $0 by just doing odd jobs a few times a week. However, this brings with it some dangers, and is not recommended. To have an official handyman business, you’ll need the following. Software: $0 – $300. Certain software can cost a lot, and it depends how much you’d like to spend. 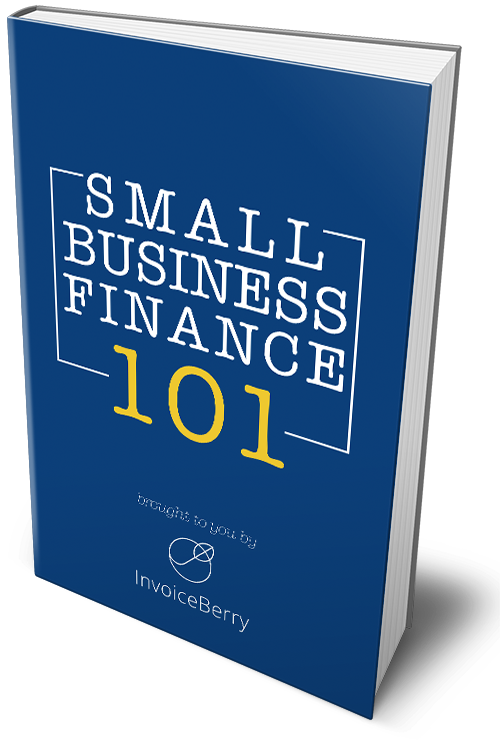 For example, for InvoiceBerry’s online invoicing software, you can pay as little as $15/month, or get the Forever Free account which allows you up to 3 clients. Uniforms: $100 or more. It helps with professionalism, but also means you’ll never have to worry about what you’re going to wear to work. Handymen generally charge by the hour, but they can also charge by the job. By the hour, a handyman will usually charge roughly $60 – $65/hr. Depending on your location, this charge can go anywhere from $55 – $75/hr for independent handymen. toilet. Usually, if you get more experienced in your work, you’ll be able to predict how long a job should take and charge a flat fate for that. For the most part, there are only a few basic tools that you’ll need in order to do most jobs at a minimum. It is recommended, however, that you decide first what kind of jobs you plan on doing, and then working on buying the tools that will be needed to do those jobs. Okay, so now we’re set with the backbone of your business (your business fundamentals) and the tools and rates you should be charging. The next step is to figure out how exactly you’re going to get your first customers, and continue to get customers until you reach your goals. A word of warning to new handymen. You see, most handymen are very lax about the marketing side of their business. They take the jobs that come their way, from whatever customer requests their services, hoping that the word will spread about their services. That is not a particularly good marketing strategy—no passivity ever is—but it is one practiced by many. When they do get around to enacting some marketing, they do it based on the lowest cost, or the lowest effort, and more than not fail or find few good results. Let’s look at some effective, modern ways in which you can market your business to find good paying customers. The traditional marketing strategies still have a place in this modern world. Because people are interested in updating their homes, they are willing to accept more old school methods, such as putting up flyers, handing out business cards, and even going door to door. However, there are still some other ways to do it. One would be to go ahead and do some handy work for friends or neighbors, either for free or at a discounted price, and ask for referrals after the successful completion of the job. This will allow you to have testimonials that you can have in person (in a folder you keep with you) or you can put it up on your website. Beyond that, you can also network at different types of events, locations that you are sure your target market will be. This may be cost-prohibitive to some (for example, if my target market is retired generation in affluent neighborhoods, their events might be too expensive to attend). In that case, just remember that any event can be a networking event, and you can always drop the line: “I actually run a handyman business, so if you ever need any work done, just let me know” and then hand them your business card. It won’t work 100%, but even 10% will get you a good amount of clients if you do it enough. The second way, which is much more effective and perhaps requires the same amount of time, if not less energy, is to go digital. One tried and tested method, which many handymen use to their great advantage, is to advertise your services on websites such as Craigslist. Craigslist is available in most countries and offers users the chance to freely post up their services, and for potential customers to find good handymen. The best online marketing, however, which is also free, is social media marketing. Social media, without exaggeration, has taken over the world and impacted business in society in many ways. One is that people now tend to go online to find reviews and descriptions first before buying anything or utilizing their services. That means it’s more important now than ever before that you have an online presence. And generally, when people search for you online, they’ll probably go to Facebook first. Because it’s free to list your business there, it isn’t cost-prohibitive. Also, it’s a great way for customers to see who you are, any photos of aspects related to your business or family or friends (which is good for personalization), and to look for any positive or negative feedback. In order to give off the best appearance, you should really take some time to first create your Facebook page, and secondly to make it look as professional as you can. People now tend to go online to find reviews and descriptions first before buying anything or utilizing any services. That means uploading your logo and choosing an appropriate cover photo for your page. It’s also recommended that service businesses show the person as the profile picture, rather than a logo or something generic. Remember, the people are hiring you and your services, and they need to trust you a bit more. Showing them your face is a good first step in that direction. You can also choose to use other social media platforms like Twitter, Instagram, and others, although they generally won’t give you as much business as Facebook will. In fact, some, such as Pinterest, may not be the best for the handyman industry. If you only had enough time for one, choose Facebook. For a much more in-depth look at how you can use social media for your small business, download our free ebook by clicking here. For all the good things that being a handyman naturally encompasses, one thing is that there is a ceiling to how much you alone can earn. You only have 24 hours a day, and maximum 12 working, so you’ll always be limited by how much you can make because there’s only one of you working. However, you can overcome this (especially if you find yourself swamped with work) by considering getting handyman employees. These workers will allow you to work two or more jobs at the same time, and is scalable. Meaning, if you find that you are still busy after hiring two workers, you can hire more, and if you find you are still busy with that many workers (lucky you), you can hire more, and do that as many times as the market will allow. Furthermore, having handyman workers on your team allows you to focus less on actual handy work, and more on building a handy empire. You will have more time to get more clients, keep your current ones happy, and make sure that the jobs are completed according to your quality standards. Numbers-wise, you can expect to pay about $15-$25/hr to your handy workers. However, after adding in worker’s compensation insurance and payroll taxes, you can expect to be paying $25 – $35/hr in total per worker. If you are charging your customers around $50 – $75/hr, you can make about $25 – $40/hr for each worker at each site simultaneously. Not a bad margin at all. If you find yourself in the wonderful position of having to turn down client requests, you may need to start seriously considering expanding. get appropriate software, such as invoicing (like InvoiceBerry), GPS (like Google Maps), payment (Stripe) and note-taking (Evernote). Using the steps from this handyman business plan, you’ll be up and running (and succeeding) in no time!